Barcelona's most residential district, old Sarrià-Sant Gervasi, still retains small town feeling that makes it a peaceful and delightful residential area. 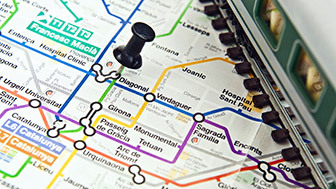 Surrounded by green spaces, it climbs up a Tibidabo covered with buildings and places devoted to science and recreation. 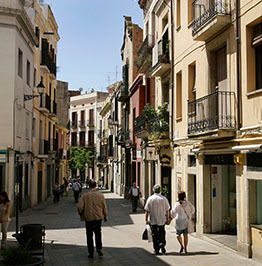 The Sarrià-Sant Gervasi district is one of the biggest in the city. It is an old urban centre with the flavour of a small town. It has narrow streets and little squares surrounded by gardens, and it is also the gateway to Barcelona's huge natural park, Collserola. The old Sarrià-Sant Gervasi still retains the quiet, noble charm of the place where wealthy craftsmen and the middle classes built their mansions and Modernista houses. From next to Plaça J.F. 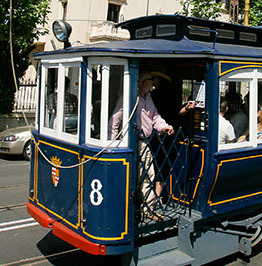 Kennedy, with your eyes captivated by a splendid Modernista building, the Tramvia Blau takes you up Avinguda del Tibidabo to a world from another era. Over one and a half kilometres it retraces the most recent history of the city, of a Barcelona that wanted to imitate Paris with this broad landscaped boulevard culminating in a church, the Temple Expiatori, similar to Sacré Coeur. Of a Barcelona that wanted to be like London, opening a big amusement park for the general public that is still one of the city's outstanding recreation spots. 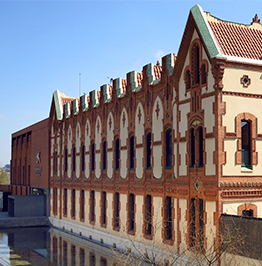 Of the Barcelona that has found new uses for the mansions, buildings and spaces and incorporated one of the most modern science museums around, a benchmark in Europe. 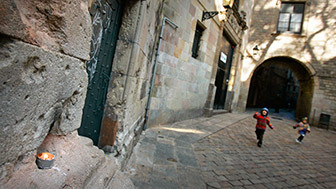 Sarrià-Sant Gervasi also includes the narrow streets of the old neighbourhood, through which the great poet J. V. Foix once walked. Streets that, almost without your noticing it, open out into a vast park, Collserola, where asphalt suddenly becomes soil. It is worth making your way up there, by rail or even on foot and immersing yourself in the greenery of the Collserola range, spread out over 11,000 hectares and where nature is palpable. 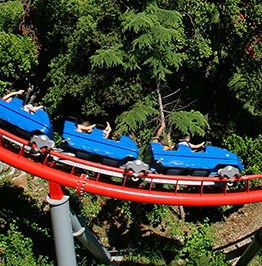 There, on a spring day, you can watch wild boar strolling majestically through the park, have breakfast in one of the picnic areas, then round off your trip with a visit to Tibidabo, with its famous amusement park, and admire some of the best views over the city from its peak. Formerly a village separate from the city, Sarrià is a charming, sweet and very literary neighbourhood, with a network of squares and small streets that seem to have stopped in time. 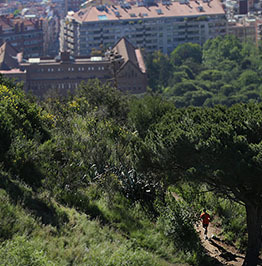 Barcelona's mountainous backdrop is Collserola, a natural range that cuts across the city from end to end, penetrating many of its neighbourhoods. Climbing up the hill it is named after, Avinguda Tibidabo opens a path between the Modernista houses and preserves the spirit of the early 20th century. 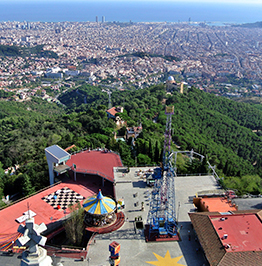 Barcelona's highest summit is on Tibidabo, a hill that has become the most important historical meeting and recreation point among Barcelona residents. On the top of Tibidabo there is an amusement park that has been the favourite recreation haunt of Barcelona people of all ages since 1901. 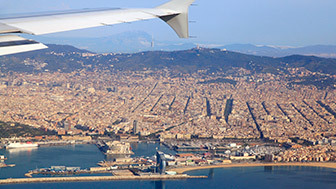 Standing at the foot of Tibidabo, CosmoCaixa offers something for everyone and a hands-on experience of science.